You seem happy about a home console with low numbers. just another nail in japans gaming coffin. Is the price cut that soon? When is it? It will go effective like 1st of Oct, so I expect it to go to 3DS-range number before price cut next week (4K-ish). Pokémon Super Mystery Dungeon only did moderately better in its debut week than the previous title although it shipped less copies. Not sure if posted yet but the XB1 will see a 5000 yen price drop on Oct 1st as well. Until Dec 31st... but it will probably end up being permanent. Edit: Oh missed the thread. And you are happy and laughing because...? Of course PS4 numbers are down. People know that the price drop is coming. Wait, do you have download numbers or did I misunderstand you? that would be a good hold for SMM. let's wait for other trackers. On the other hand, the new Vita colors had an impact, but I was expecting more (colors for handheld are usually interesting), but probably the lack of impacting new software affected the overall performances. And related to this, I'd say Revelations2 super bomba to me. YWB would be third if the two versions were counted together: 30k+; the game is really having legs and shows that the interest in YW is still there. What about SW4:E? Those don't seem good numbers. REv2 PSV, on the other hand, didn't do terribly given the circumstances. or do you prefer paying 50 euros more something ?? I'm a Nintendo fan and when the Wii U was selling ~5k per week i write "lol Wii U"
I also made a comment about PS4 over 50k in the CoD week just sone hours ago, i mean... Seriusly? Oh come on guys... That said, hope in PS4 at 30 or 40k next week. And ok. Indeed i expect a massive drop. Just... I didn't expect sub 10k. I'm not schocked, but if i was going to guess this week i would say around ~10k. Not that bad considering that it was supply constrained for many weeks and was a fresh start for an IP that typically rely on the appeal of characters. Also, the game had a surprisingly high digital attach ratio in the second month: 26%. I'm not schocked, but i was going to guess this week i would say around ~10k. The PS3 dropped down to 1k before the week of Final Fantasy 13 release and a price drop (i think it was 10k yen pricedrop). And as someone mentioned earlier i think, the 3DS dropped down to 4k or something before its 10k yen pricedrop. Big drops in sales are common in these senarios. I would have been more surprised if the PS4 was over 10k this week. Next week, i expect the PS4 to sell around 2k-4k. Well, next is also a holidays week... I don't expect a increase but 2k-4k? More like 4k or 5k in my opinion ...? That's some big expectations. Even Assassination Classroom which did extremely well didn't get close to 100k! COMG always tend to over-represent niche anime games (especially ones on Vita) no surprises there. They had Irregular Magic High School extremely high too. What about SW4:E? Those don't seem good numbers. Yep, they seem extremely poor. The only positive I can take from it is that PS3 isn't miles ahead anymore (possibly some userbase migration at last). The 50k/100k numbers were pulled by the first-day estimate sell-through from the usual blog. It said the game wasn't able to reach 50k/100k but I though it could have been able to reach at least 30-35k. Is that much an unbelievable expectation? The worse news is that while the game is on three platforms, sales overall are decreasing. Never mind can't seem to find it maybe I remembered wrong. That is true, its Silver Week, i forgot about that. That might minimize the drop a bit, so maybe it can be around 5k. Personally, i dont think that it matters that much if its 2k or 7k next week, the most important thing to notice is that the upcoming pricedrop is affecting current sales. 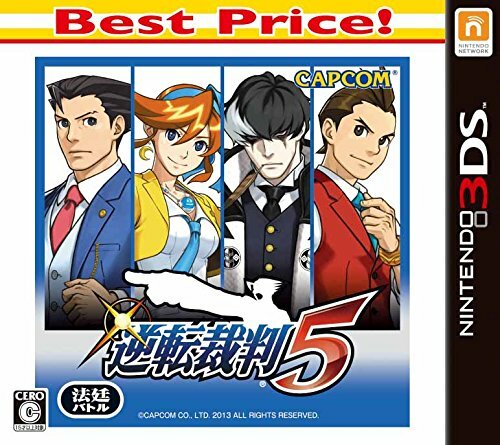 With AA6 we'll see if the sales are related to said "new characters" or if the Ace Attorney series as a whole is just selling less copies than before (well it is compared to AA4 of course, but I was thinking about AA5), I hope it's not the case but I'm not very confident about it. Overall I hope that the streamlining of the development process which allow them to release games quicker is enough to compensate for the lost sales of the DS era, because well it's Capcom we're talking about. To be fair, I wasn't sure the target was FW or LT either, but to be saying it won't reach 50k LTD (which is what the blog said), I'd say 25k FW is decent enough. It's in line with everything else Bamco usually does; though COMG & retailer blogs may have inflated expectation. Depends what their expectations are anyway! If it's the same cheap cash-in like it appears to be, I'm sure it's done okay. What's you expect from pricedrop week? The Empires games generally are the worst selling spin offs, probably due to the lack of story mode. Still, yes, those numbers seem rather low. Only a little above half of Samurai Warriors 3: Empires, in spite of launching in 3 different systems. and stop reading my memory card !!! If the word-of-mouth is good, a sequel might also improve - and we have yet to see how a budget release would perform (the first trilogy sold a lot through budget releases). Also, there's a new anime to raise IP awareness next year. I cannot think of any recent tie-in which was cheaper than Assassination Classroom, though. That game must have a pretty sizeable ROI. Console always had that kind of drop after price cut announcement so no it's not bad. It may have sold better if it wasn't empires, on other systems or whatever, but I think both Dynasty and Samurai Warriors series should take a break for a while. Warriors series itself is a fun beat-em-up as the game system, so if people like the theme behind it then it will become commercial success (see Zelda and such). I think audience have seen enough of Three Kingdoms period in China & Warring States in Japan. Seems like wishes more than anything else, budget rereleases didn't do much for the last entries (did AA5 even had one ?) and DGS will probably be the less impacted of the games by the anime if the said anime has any impact that is (protip: if it's a late night broadcast, which it'll probably be, it will mostly target an already existing audience). Regarding word of mouth the only thing I heard is that there's a big sequel bait and an unfinished story, not sure if it bodes well on that part, but anyway word of mouth mostly impact sales for new unproven IP and I don't think DGS fits the bill (and yes we already agreed to disagree on that one I think). I usually dont do number predictions, but somewhere between 25k to 45k. I always say numbers. Sorry, we are two different people. Yeah, about ~30k to ~40k is my guess. And then another 40k with Black Ops III. Hehe, no problem The reason why i usually dont do number predictions is because i think its too hard to say more exact what something will sell. If we're talking about LTD, Assassination Classroom is very close or maybe already surpassed 100k. About SW migration, I'm wondering where are they migrating. To nowhere? No, AA5 didn't have one, and neither AAT had one (it was already sold at a budget price after all). Budget releases are going to affect newer properties (as DGS can be seen) because the fanbase might reluctant to jump to a spin-off at full price - or they sell well when there's some cross-media promotion (e.g. anime). We have also to remember that the game was highly supply constrained shortly after the launch and this of course had an effect on sales. I have a feeling all of these Bamco cash ins have the same miniscule budget, so you're probably right on that one. Was what I was going off. In fact, even AA Trilogy did get one. DGS will most likely get one somewhere down the line, too. Woops! I was pretty sure they didn't have one - AA5 also got its price slashed before the budget release was a thing. 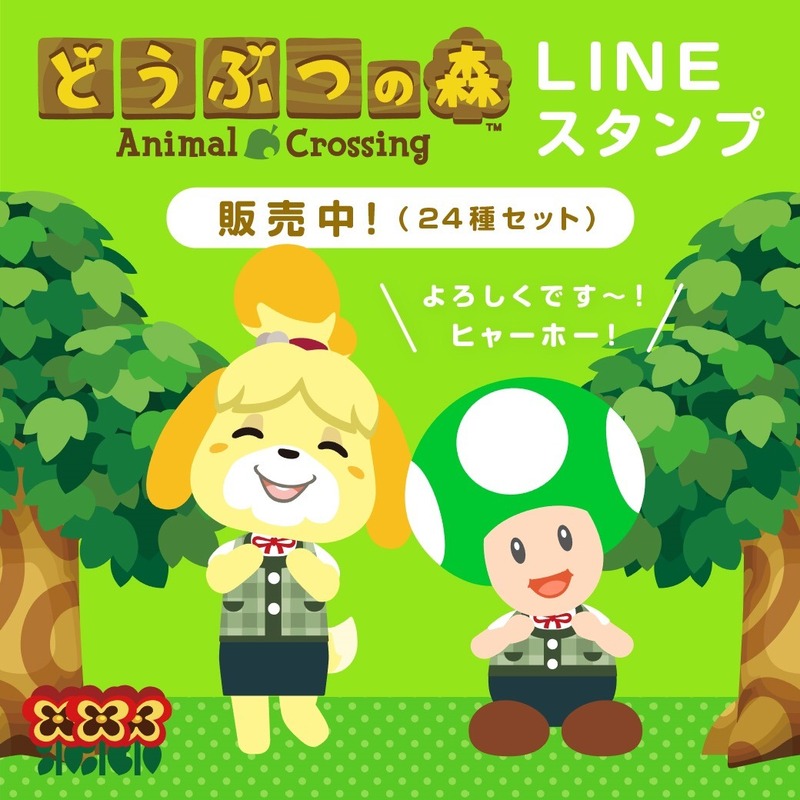 How long until Media Create and Famitsu? Should be less than 40mn (10PM JST). Anyway, surprised BriBri didn't come rushing for the announcement of SEGA 3D Classics Archives 1+2 (basically a pack with two collections), coming out on December 23rd (same day as Archives 2). Quite pricey, too. it was the same some years ago when Ps3 Slim was announced. Anyway, I forgot but Nintendo released a new bundle for the regular N3DS last week. We'll see with MC if there was any impact at all. And I doubt the incorrectly spelt Colorful Star would've sold too many. Wasn't this also the week when several Vita colors were released? I was going by Media Create that puts the game at 85k by the middle of June and still charting the following weeks in the Top 50. It's over 90k for sure and probably very close to 100k. I get your point. But the PS3 version just collapsed while the PSV and PS4 versions aren't increasing. The fanbase is just going to nowhere.